Whether you want microwave or refrigerator service, call our Maple Ridge kitchen appliances repair experts. 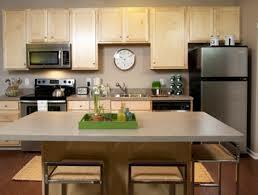 We fix all kitchen appliances and will assist you in a timely and excellent manner. Our pros have the skills and certifications to replace parts, troubleshoot problems, and make accurate diagnoses. Don’t let your problematic oven, freezer, or dishwasher make your chores difficult! Give us a call at Appliance Repair Maple Ridge to sort out any problem in the most effective way. If you need fast kitchen appliance repairs in the Maple Ridge area in British Columbia, we are the team to rely on. We are available to cover your same day needs and are always prompt when local clients need our assistance. What makes our work effective is not only our commitment but mainly our expertise and experience. After years of providing home appliance repair, we can guarantee outstanding appliance and customer service. As specialists in small appliance repair, we can also fix your microwave, garbage disposal, and ice maker. Call us if you have trouble with any of these appliances. Count on our quick arrival should your fridge or dishwasher is leaking. When it comes to such serious problems, we are even faster. Whether you want urgent repairs or routine service, count on our pros to show up fully equipped. We have every tool and all spares we might need in our trucks to ensure the appliances in your kitchen are fixed well the first time. Count on that. We have the experience and skills to cover your service needs and exceed your expectations. Why don’t you give us a call today should you need kitchen appliances repair in Maple Ridge, BC?